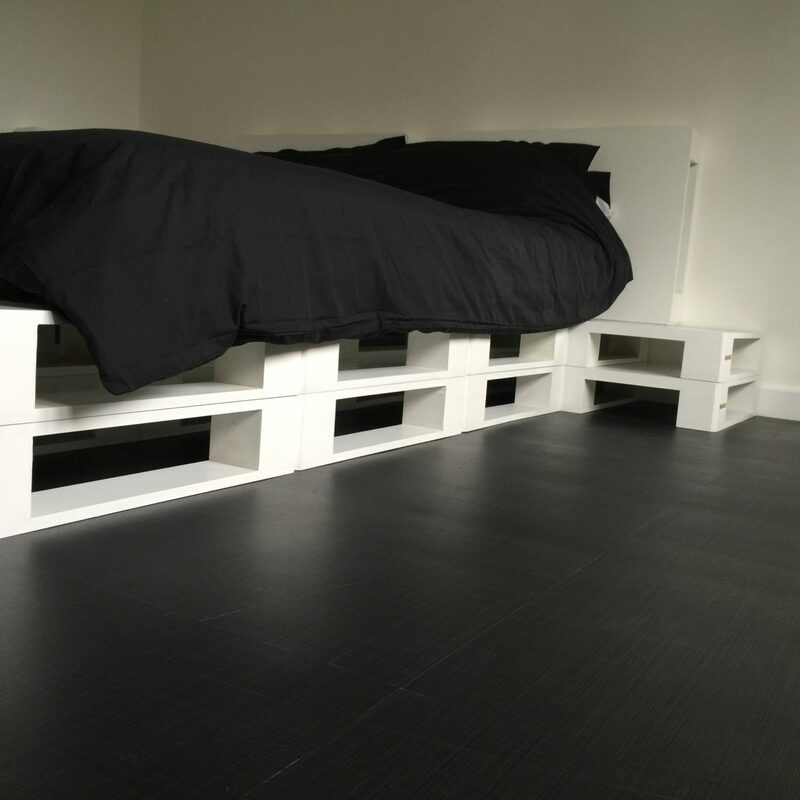 This uncomplicated scheme included a quirky pallet style bed from Seletti, which mimicked a modern industrial feel. 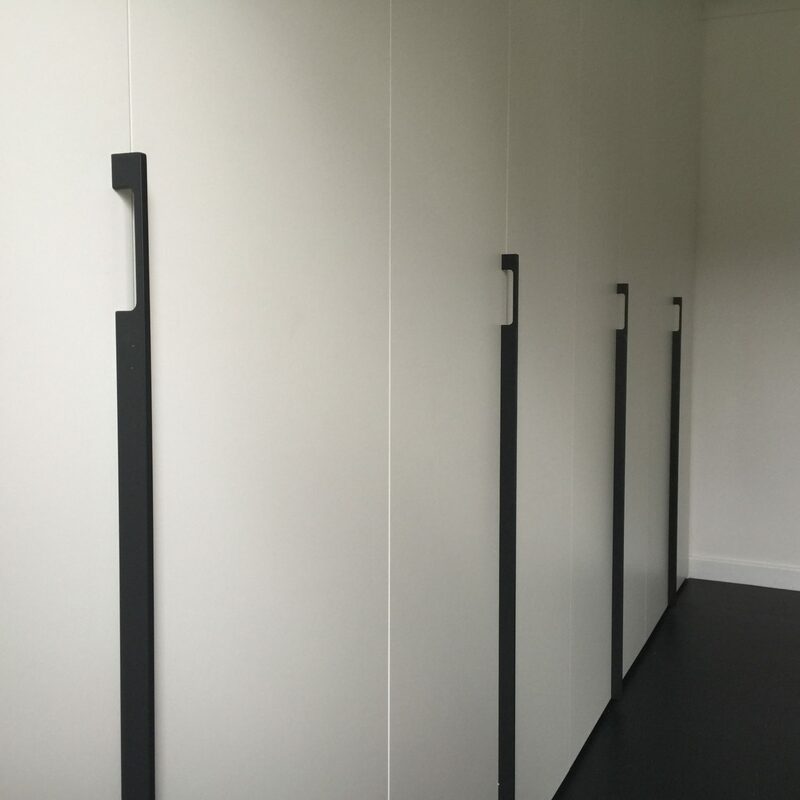 The elongated statement black handle complimented the White wardrobes. The wardrobes were designed with a combination of door types; hinged doors for general clothes storage and bi-folding doors in the centre concealed the tv and games console. Being able to close everything away helped maintain the stream-lined visual, best suited to the contemporary scheme. The internals comprised of an accessory tray pull-out, internal drawers and revolving mirror, details like this enhance the practicality of the layout.